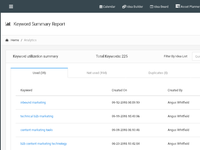 The Syptus Content Marketing Platform allows B2B Marketers to plan, ideate, produce, promote and optimize content at scale. With features including automated content ideation, template based content production, Editorial Calendars, Social Auto-promote and Content Hubs, our platform is uniquely positioned to help B2B Marketers leverage Content for lead generation and branding alike. 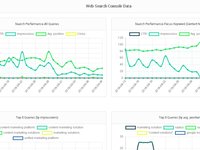 Pros: For us, the best part is the easy integration with Google Analytics and Google Web Search Console. 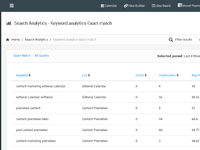 Before using Syptus, our process to track content performance at the keyword level involved going to multiple tools(Rankwatch, Moz, Web Search Console etc.) and of course a ton of spreadsheets. 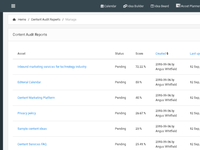 With Syptus, we are instantly able to see top performing queries and content pages at the individual asset, topic or campaign level. As sophisticated SEOs, we had already moved away from tracking search performance at the individual keyword level as we have a lot of long tail keywords. 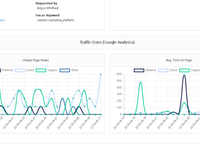 The content analytics feature of Syptus allows us to run deep dive analytics with both Google Analytics and Web Search Console data at an arbitrary grouping level. Cons: Nothing much so far. This tool is definitely great if you are serious about your content marketing and are willing to put in the effort to get to know all the features it brings.